(Dr. Mercola) There are many good reasons to choose your foods seasonally, and contrary to popular belief, there are many foods in-season during the fall. 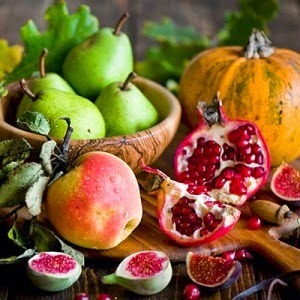 Seasonal foods will taste fresher and their nutrition will be at its peak level, as opposed to foods picked prior to ripeness, which are then chilled and put into storage for days or weeks. As they sit, both their flavor and nutrient levels diminish. Meanwhile, in-season foods will typically be available in abundance, which means prices tend to go down, making seasonal eating easier on your wallet. It’s good for the environment, too, because in-season foods are often locally grown and available from farmer’s markets or other direct-to-you venues (like community-supported agriculture programs). And in the grand scheme of living, eating seasonally allows you to be a part of the natural ebb and flow of nature. According to the ancient science of Ayurveda, for instance, seasonal eating helps with digestion, because it favors easier-to-digest foods in the winter when your body is hard at work burning energy to keep you warm (and therefore theoretically has less energy to devote to digestion).